This project will enhance the future flight potential of UK hyperspectral imagers such as CompAQS, through instrument optimisation and demonstration of key application areas for data. 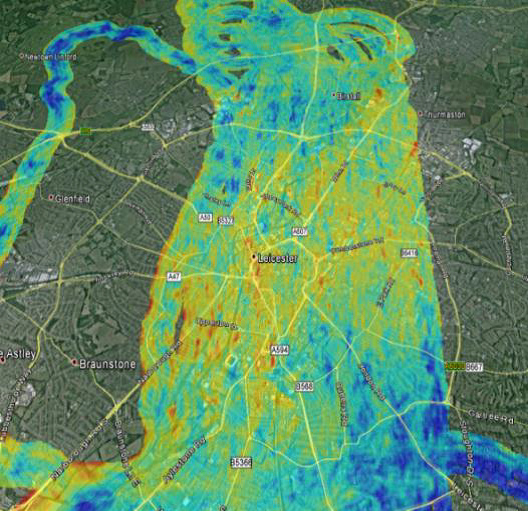 The University of Leicester project will extend and enhance the successful CEOI funded project which enabled the demonstration of an airborne hyperspectral instrument, CompAQS. The TRL of CompAQS will be improved through an intense six-month programme of work. The work will include instrument optimisation, an additional flight with ground-based CompAQS instruments in operation and improved retrieval algorithms. Improvements in retrieval algorithms will lead to the development and demonstration of a 3D retrieval of NO2 concentrations over a city scale using two ground-based CompAQS instruments and one airborne CompAQS instrument. The combined understanding of air quality will demonstrate the value of enhanced hyperspectral imaging, and the applications which could be delivered as a result. These findings will feed into both future payload proposals, and future application developments.